As one of the major Internet, TV, and phone service providers in United States, AT&T added a streaming TV service into its offers. This way, it’s catching up with Netflix, Amazon Prime Video, Hulu, Sling, and other stream TV providers. DIRECTV NOW offers 120+ live TV channels, premium programming options and access to more than 25,000 On Demand shows and movies. It quickly gained on popularity, especially among cord cutters crowd. It also gets ordered as a part of AT&T bundles. DIRECTV NOW is an online streaming TV service that can be used to watch live TV channels, or “on demand” shows. In order to use the service, an Internet connection is needed. Shows can be watched on various browsers and TV devices. DIRECTV NOW is a subscription based service. To stream DIRECTV NOW on handheld and computers devices, compatible browsers that can be used are Chrome (version 50 and up) and Safari (version 8 and up). Chrome is recommended for online streaming. Internet Explorer can be used to manage your DIRECTV NOW account and user settings. To use DIRECTV NOW via XBOX One is not yet avaibale. DIRECTV NOW is a subscription based service with no long term commitment. It comes in four different packages, ranging from 60+ to 120+channels. Regular pricing starts at $35/month. DIRECTV NOW plans include select Live channels, Local live channels, and Regional Sports Networks (Just Right plan and up). Channel lineup depends on the plan selection and on channel availability in certain regions. To get a local or regional sports network, your billing address must match a local market, and your device must be in that location. DIRECTV NOW can be watched in all 50 of the United States as well as the District of Columbia. The service is not currently supported in US territories such as Puerto Rico or the U.S. Virgin Islands, and you will be unable to access DIRECTV NOW if you travel outside of the US. Access your User Account area and follow the instructions to add your selection. DIRECTV NOW is available via its free trial offer which can range from 7 to 30 days, depending on the offer. Currently, all new DIRECTV NOW subscriptions include a 7-day free trial period. The longer free trial periods may be available periodically, or as a part of limited time special offers. You may cancel DIRECTV NOW at any time during the free trial period. To ensure that your cancellation request is processed same day, it must be submitted no later than 7pm EST. Cancel requests entered later than 7pm EST will be processed on the following day. If you choose not to select a subscription package, your account allows you to demo the service with “FreeVIEW” status. Your account remains in FreeVIEW status until you add a package, which can be done at any time. There are no fees or charges for FreeVIEW. 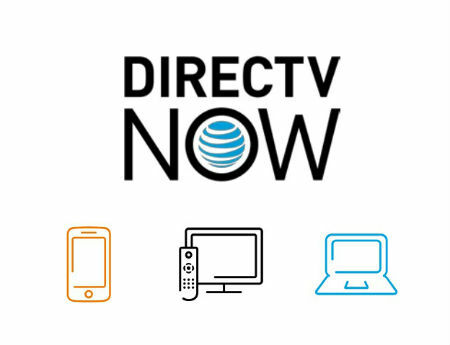 At this time, AT&T is having a promotion of DIRECTV NOW service. The offer is $10/month for DIRECTV NOW when you have a qualifying AT&T unlimited wireless plan (after $25 video credit). Conditions apply. DIRECTV NOW pricing subject to change at any time without notice.